This is based mainly on improving how your teeth look and feel rather than improving their functionality. In some cases, it is used as a resolution to medical problems such as bruxism, which is the over grinding of teeth together. People who practice this tend to have specialized in the field after dental school. One has to be properly qualified. It is not practiced by all dentists. Some of the cases in which an individual may consider prosthodontics are if they have severely cracked or loose tooth, if they want to do away with dentures or if they want to replace missing teeth. Despite the debate surrounding dental prosthetics, prosthodontics have a variety of benefits. They help boost your confidence, they help make normal teeth functions like eating better and they also help one improve on their speech. Most importantly, it raises people’s self-esteem and teaches you about self-love. You may have heard of this techniques. It is not a procedure but a way of approaching dentistry as a whole from the biological standpoint. It is also known as rejuvenation dentistry. It relies on scientific research for treatment. It is a recent trend. It is a comprehensive approach that ensures everything that pertains to your oral hygiene is up and running. It focuses on your jaw, muscles and even teeth. It is done by restoring your chewing system, fixing teeth alignment and spacing issues and even fixing the shape of your teeth to what is considered ideal. It delves deeper to find the cause of your teeth problems before treating them. It rectifies the problem to prevent it from recurring. Through this, it helps to fix your smile and even to preserve your natural teeth for longer. 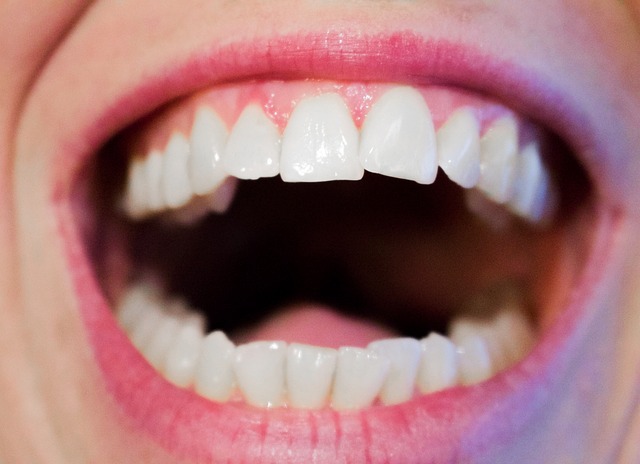 Teeth may get discolored for various reasons. One of these is the presence of certain chemicals in the water you take. Another cause may be as a side effect of different types of drugs such as tetracycline. It may be caused by age, which is the normal progression of life. It could also be because of staining due to different foods and beverages such as coffee and tea. It is done using a peroxide-based material and is one of the most common procedures in dentistry clinics today. Whitening of teeth is good for your self-image as it helps you look at yourself in a positive light. In some really bad cases, bad tooth discoloration can prevent one from getting the right attention or even a job as it looks like a sign of bad grooming. Being able to rectify that may increase your chances of, say, getting that job you want so bad. Making the necessary changes to what you eat is not a procedure that involves machines and professional tools but rather, it relies on one’s own determination. Diet is important in all aspects of life. It is one of the foundational things that cannot be ignored. In order to take care of your teeth, you should avoid sugary foods such as cakes and candies. If possible, you can cut them out of your diet completely. They cause cavities due to the pieces they leave behind, which bring about decay. Another aspect of diet is to avoid eating food that hasn’t been cooked properly to avoid breaking your teeth. It is wise to invest in a proper healthy diet. It would include a balanced diet at every meal and a lot of fruits and vegetable. Foods that are rich in calcium are likely to help strengthen your teeth. Drink enough water to wash away all the food particles left in your mouth. Hygiene plays a major role in achieving good oral health. Without good oral hygiene, most of your other efforts would be null and void . 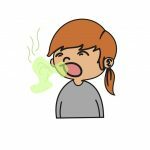 Proper hygiene can help prevent a number of problems such as gum disease, cavities and even bone loss. The secret to a boost in your confidence and a blinding smile is proper dental hygiene. Dental hygiene includes brushing properly at least two times a day after meals, flossing at least once a day, staying away from cigarettes and any other tobacco products, investing in a good mouth wash that you use alongside brushing and flossing and it also entails preserving your teeth well and not misusing them by using them to open soda bottles. Part of proper hygiene is also making sure to attend all your dental checkups without fail every time they are due. A root canal is a procedure though which they remove the center of your tooth, which is the pulp. It contains all the nerves, lymph system and blood vessels. It is also called endodontics. 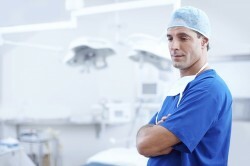 The procedure should be done by an experienced professional to prevent you from experiencing unnecessary pain. The most common cause of a root canal is a severe infection that has affected the pulp of the tooth, causing you undue discomfort. When you go, you are first given an analgesic to make the affected tooth numb. Then a dental dam is used to prevent further infection while working. The affected tooth is then drilled through and using special instruments, the pulp is removed completely. It is carried away with all the blood vessels and nerves that served the tooth. The tooth is thoroughly disinfected and cleaned. After that, the tooth is filled and sealed. An extraction is the complete removal of the whole tooth. It has become rarer as the dentist will try all other options before turning to it. It is more or less considered the absolute last solution in any dental problem brought to a dentist. Your dentist will try their best to save and preserve your natural teeth, only turning to this when they are out of options. Some of the cases where it would be considered include in extreme cases of tooth decay or an irreparable badly broken or cracked tooth. Extractions also come in handy in other occasions. They can be used to remove unwanted teeth that are excess in number or have grown badly, preventing the other teeth from growing well. Furthermore, it is a method used to remove deciduous teeth if they refuse to fall out on their own or cause issues when shedding. Depending on how you break your tooth or how bad your cavity is, the dentist may choose to use caps on you. You may know them as crowns. They are used to cover the tooth. They provide the much needed protection for what is left of your tooth. It is mostly used when you break or crack your tooth. They cover the whole part of the tooth that sits above the gum and can be made from a variety of materials which include porcelain, metals, or a mixture of materials. They strengthen the remaining part of the tooth and help to increase its lifespan. If taken care of, they can last you a very long time without needing repair. They have provided a solution to hide chipped or broken teeth in such a way that they cannot be damaged even more. 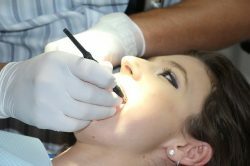 It is a procedure that has saved many from the pain of extraction. 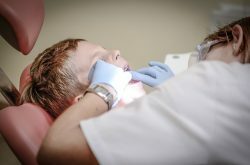 As seen above, there are many types of procedures that you can undergo at a dentistry clinic depending on your problem. All the procedures vary in terms of price depending on which clinic you go to. Without these choices, people would be unable to live happy healthy lives as they would be set back by every dental problem they suffer from. Dental pain is known to be one of the most uncomfortable types of pain. Some approaches such as the biological approach have enabled people to live clean and trust their own bodies for healing. All these advancements have reduced the number of teeth removals in the recent years. They have made it the last option in extreme cases. It gives you hope to know that at least you have many choices when it comes to treatments for your oral health problems.